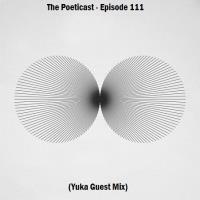 The Poeticast is back this week and is proud to present Yuka to the podcast with a Guest Mix of seismic proportions. After much perseverance The Poeticast is finally delighted to welcome Finnish Techno extraordinaire Hannu Ikola to the podcast for #110. 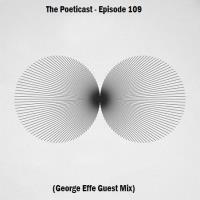 The Poeticast rolls on with a Guest Mix from Georgian electronic producer and DJ George Effe. 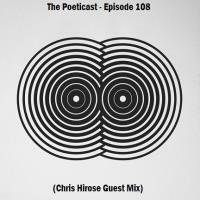 The Poeticast is back this week and we play host to a special guest as the podcast moves onto #108, Chris Hirose is at the controls as he supplies an excellent hour of Techno. The Poeticast is delighted to welcome Deepnoise to The Podcast this week. The Poeticast returns this week as the podcast rolls onto #106. Hello and welcome to Episode 105 of The Poeticast. This week we are delighted to welcome another Guest to the Podcast, that Guest is Filippo Way. 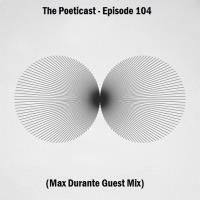 The Poeticast is honoured to welcome an electronic music pioneer to the podcast this week as Rome native Max Durante drops by to showcase a solid mix of industrial Techno. The Poeticast is back this week with another special guest, we welcome Attacca Music chief Adicon to the podcast as he delivers a majestic Guest Mix for episode 103.